“Old Cutler Waterhole” by Nicole Hospital-Medina (aka productiveprofessor) is now up and ready to be read in Canyon Voices Literary Magazine. Simply look into the Poetry section. My poem is the third poem in the section. 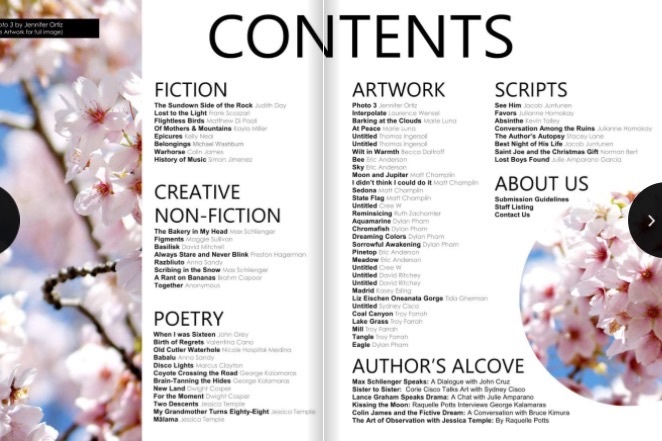 It is on page 59, surrounded by talented fellow writers’ works. I am deeply honored. 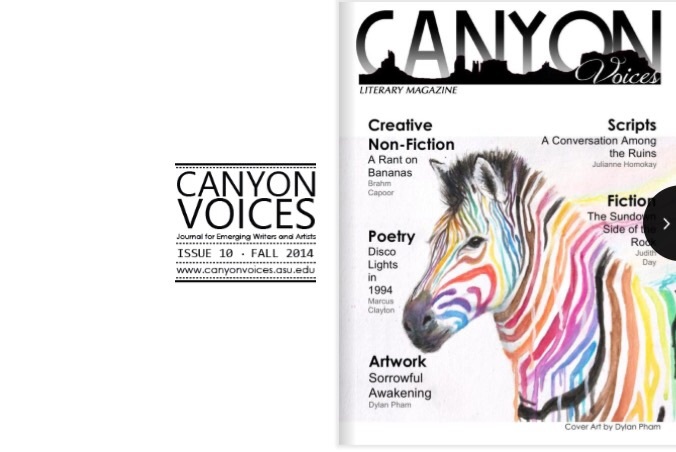 You can read the issue here, Canyon Voices Literary Magazine, Issue 10, Fall 2014. What a great cover right?! I’m in there; I swear! 😉 See my poem, Old Cutler Waterhole, in the POETRY section. Click here to read poem (pg. 59) and entire issue. It’s a super pleasant online setup for reading. Even the turning of pages makes little paper sounds. It adds warmth to the read somehow. Next Next post: Poetry Reading at the Estate..